This adorable ball of anarchy doesn’t know the meaning of impossible. 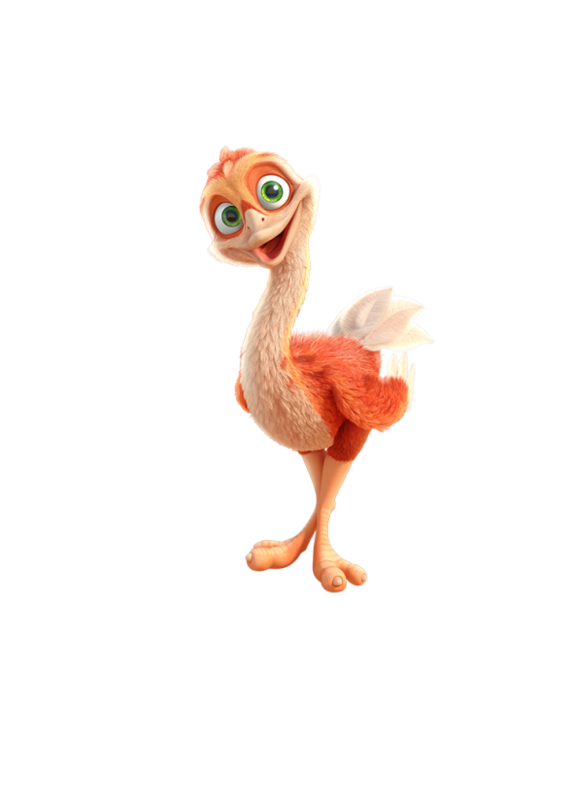 A fearless toddler who giggles in the face of danger, Baby Ostrich is all curiosity and fun. The youngest of the crew, Baby just loves all of her jungle friends, and is always eager to be included in every game, to fly fearlessly into every adventure. Don’t try to tell Baby that she can’t - she believes that she was born for the sky! She’s as cute as she is chaotic: energetic, affectionate and inquisitive - a real wingful for any babysitter. Munki and Trunk are masters at creating their own mayhem, but Baby Ostrich adds her own brand of adorable anarchy to the mix. Ostriches are thought to have the biggest eyes of any land animal. This means that they can spot danger at a distance and use their speedy running skills to get away!